The Pirates Voyage Dinner Attraction has a a commercial that comes on T.V. almost every night. 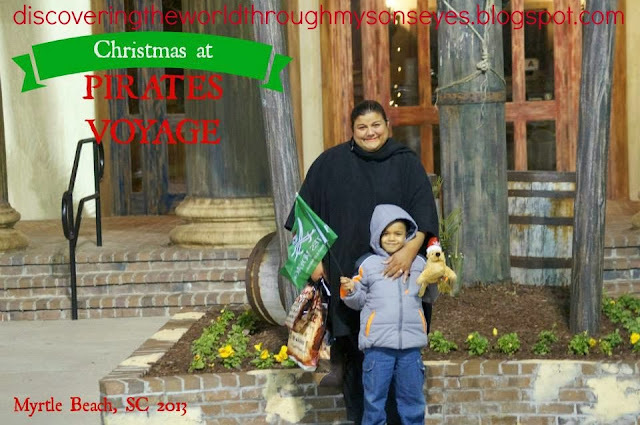 Our 5 yr. old tells me he saw a commercial at Grandma’s house about a pirate show with Santa, toys, baby Jesus, and animals at Myrtle Beach; and he wanted us to take him there. But I had yet to see the commercial. I was clueless as to what he was talking about but he kept asking to go. Until one day while at home the commercial comes on. He literally jumps from the sofa, and starts yelling, “Momma, Momma there it is!” At last! 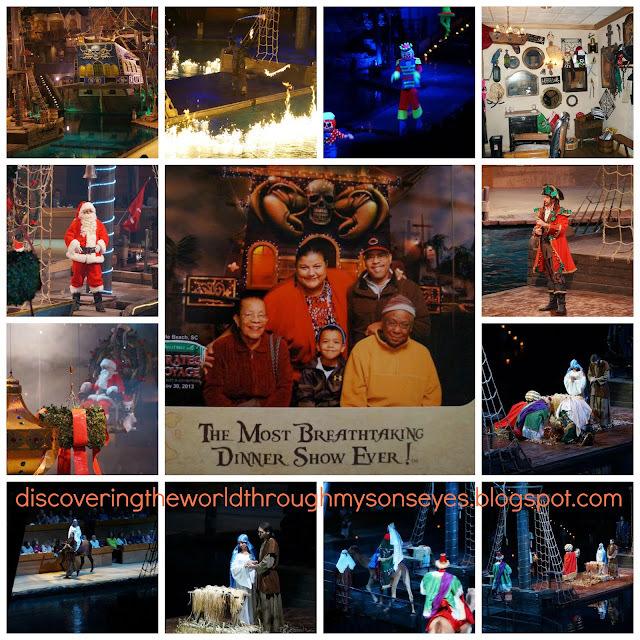 I was finally able to see the very colorful, and lively show promoting the true spirit of Christmas. After looking on-line I found a good deal with hotel stay for us to go! We didn’t tell little one anything until we got there, and boy was he happy! On the weekend of Thanksgiving we made the trip to Myrtle Beach, SC, and my in-laws joined us. I have to admit that we thoroughly enjoyed the show! The food was great, and the show was breathtaking! 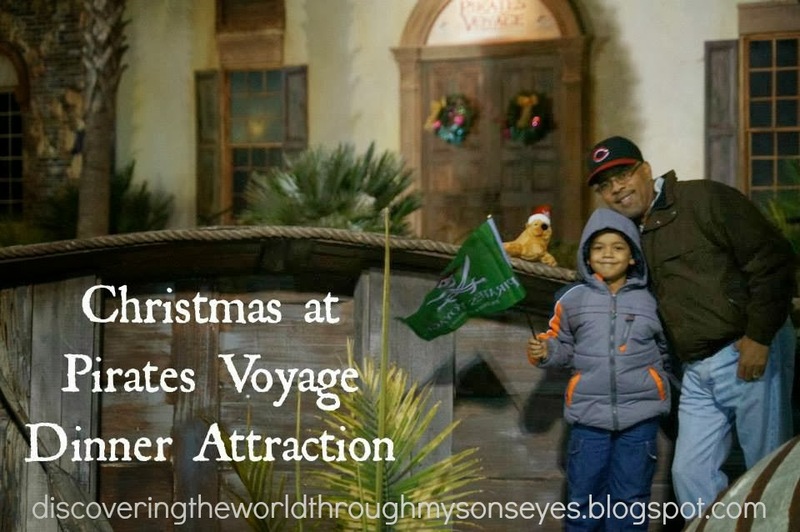 You traveled through time with Captain Scrooge, and the mystical spirit of Christmas. We saw toys come to life, Santa Claus, Mary and Joseph on a donkey, and the Three Kings in search of the new born king. I used this opportunity to reiterate with little one that Christmas wasn’t all about Santa. As Joseph and Mary held the baby (not a real one) announcing that Jesus was born I told him that is why we celebrated Christmas. We also talked about the Three Wise Men bringing gifts to baby Jesus; and how we too, celebrate that holiday on January 6th. 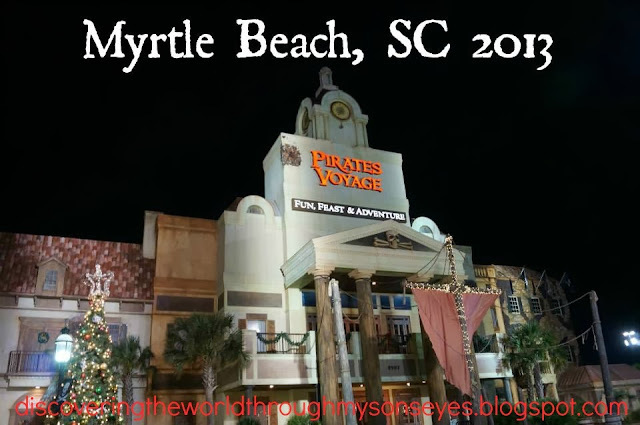 It was such a great get-away, and I wish we would have been able to stay longer in Myrtle Beach. However, it was really cold; and we were returning to work on the following day. That is so awesome that you are able to pick up and go. That's something we don't do here – just pick up and go someplace. The show looks fascinating. What great memories you guys made. What a great surprise!! There is definitely some Christmas magic happening at your house! !